The coconut product specialist Kara Marketing (M) Sdn Bhd has recently introduced its coconut water in Malaysia under the Karta brand. The debut of the Karta coconut water marks the entry of yet another company tapping into the global coconut water craze. A close look reveals the product uses the same Tetra Prisma Aseptic pack as the Hydra Coco of Indonesia’s Kalbe Farma. 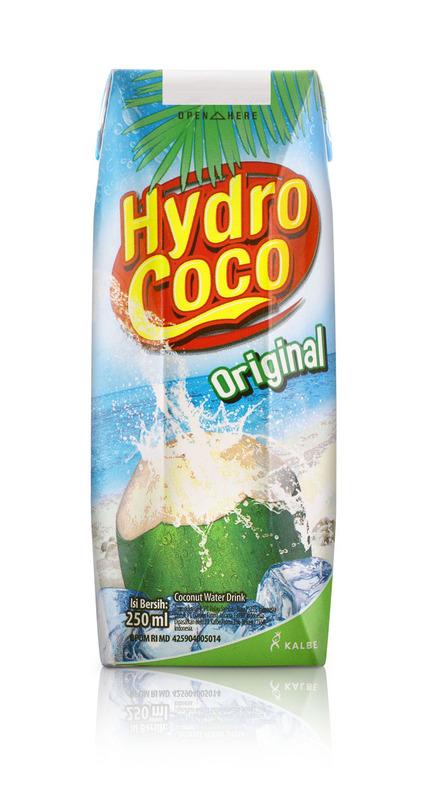 Similar to Hydro Coco, Karta Coconut Water is made in Indonesia. The other newly launched Cowa coconut water, on the other hand, is manufactured in Malaysia. 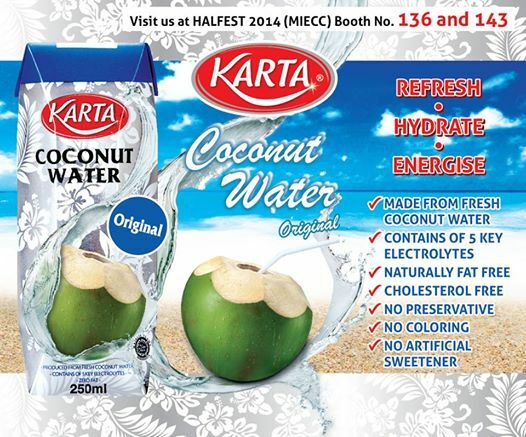 The retail price of the 250ml Karta coconut water is RM 1.80 or RM 1.30 at the recently concluded Halfest, a halal festival. The 330ml Cowa in contrast is selling for RM 2.99. At the moment, Karta coconut water is not available in the leading supermarket/hypermarket chains or in convenience stores. It is only available in select independent supermarkets as a means to test the market. Kara has the Indonesia connection as the company has the experience in sourcing Indonesian products and sell them in Malaysia. Among the Indonesian products sold in Malaysia are the Dua Kelinci’s Deka wafer roll biscuits and Mustika Ratu cosmetics. Kara is also the leader in the processed coconut cream (santan) category in Malaysia. The Indonesian connection means Kara is able to reduce the cost of the coconut water and selling it at an attractive price of RM 1.80, which is more affordable than Cowa. The next step for Kara is to penetrate the convenience store sector as coconut water is ideally positioned as a healthy alternative to sports drink and carbonated soft drink. However, more work need to be done on the taste. The Kara coconut water tastes rather like air tebu or sugarcane drink.